Crash Bandicoot N. Sane Trilogy is arguably one of the greatest remakes of this generation. Bringing together three tough-as-nails games in a single package, it sold like hotcakes on the PlayStation 4 and later this month, Xbox One and Switch owners will get their chance to relive the early years of 3D platformers. At the Ritz-Carlton in Los Angeles, just blocks away from E3, I got a chance to go hands-on with it on Switch, see how it runs in 4K on Xbox One X, and got a look at a brand new level coming to every version of the game. On Switch, N. Sane Trilogy plays just as we all should expect it to. The experience is smooth with a steady 30fps and bright colors that absolutely pop on the Switch screen. I tried my hands at two of the levels from the first game in the trilogy and, for better or worse, they play the same today as they did more than two decades ago. The Switch has portability in its corner, but seeing Trilogy running at 4K on the Xbox One X is like watching a cartoon. It is absolutely beautiful, and the PC writers in the room during the demonstration kept commenting on how this game is the perfect presentation for HDR and all the other buzzwords the salespeople at Best Buy use when trying to sell you a 4K television. The console version still runs at 30fps, though it will hit 60fps on PC. When these versions launch later this month, they'll bring the entire game PlayStation 4 owners bought by the millions last year as well as some new additions. The Stormy Ascent level, currently available as free DLC for PS4, will be included in the package as will a brand new level named Future Tense. 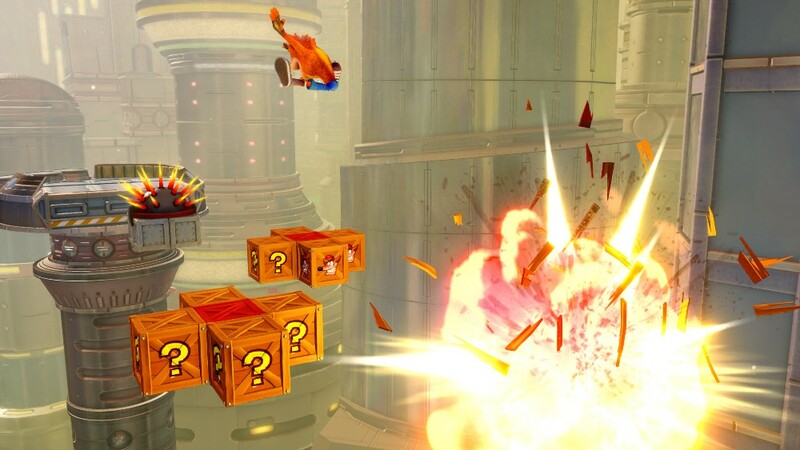 Though it takes inspiration from an unreleased 'Waterfall' level from the original Crash Bandicoot, Future Tense is a wholly original stage from Vicarious Visions. 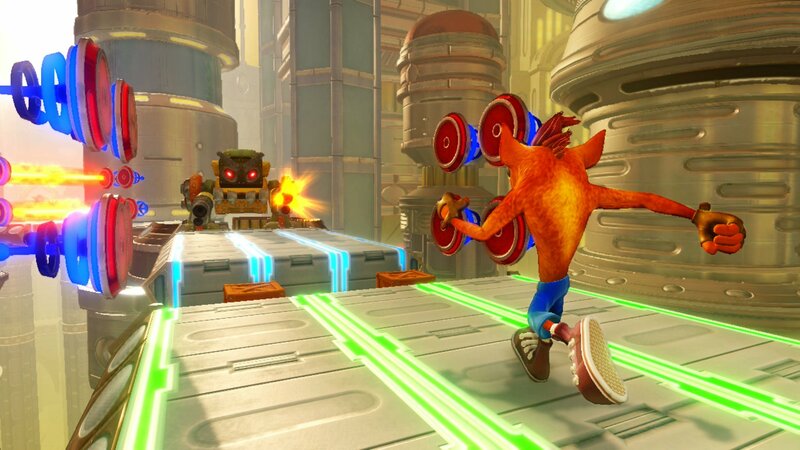 It'll be available in the Crash 3: Warped section of the trilogy and the idea behind it is to bring together every type of challenge found within the entirety of the N. Sane Trilogy for one final, difficult-as-all-hell experience. In other words, it's like the very, very last level from a 3D Mario title. I was only given a look at a small sampling of the level and it is...something. 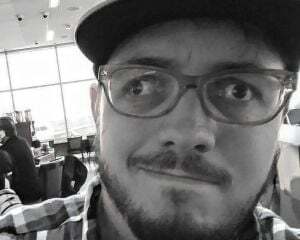 Future Tense has, as its name suggests, a sci-fi future setting, but parts of it just didn't come together. The inspiration from the Waterfall stage can be found in these waterwheel obstacles through the level. They're a fairly standard platformer feature, but in this sci-fi stage, these decidedly old-world looking obstacles look horribly out of place. As the gentleman showing off the stage kept dying at this area, it only further ingrained in my head that these waterwheels do not belong in this level. Future Tense will be included in the Xbox One, Switch, and PC versions of the game, and will be free DLC for PlayStation 4 players. If you own a PS4 and haven't purchased Crash Bandicoot N. Sane Trilogy yet, the title will receive a physical refresh with the new content included. Future Tense will be made available as DLC on June 29, the same day the game launches on Xbox, Switch, and PC. N. Sane Trilogy will retail for $39.99 and Switch owners should be happy to know the game will not require an additional download if you buy physical.